Soccer players have long prided themselves on their sport’s minimalist equipment. If many players had their druthers, an entire kit would consist of their jersey, shorts, socks and cleats. Before shin guards became mandatory in 1990, many players eschewed them. But Claudio Storelli, an Italian-born former college goalkeeper and co-founder of Storelli Sports believes old school machismo is on the way out, and players from the youth ranks up are now looking for equipment that will protect their bodies from impact injuries. The inspiration for the gear, Storelli says, came from his own aches and pains. Repeatedly diving on rock-hard fields during goalkeeper training as a young player, he says, gave him scars and bruises he can still point out today. After college, when he took a job in the financial industry, he continued to play in men’s leagues. He and his fellow weekend warriors began to wonder if it was worth it to get so banged up. Storelli shows you dozens of emails from amateur players and parents, thanking him for his inventions, which he proudly calls “batman-like.” That may not come as a surprise, since moms and dads certainly want to make sure their children are safe on the field. What may come as a surprise are a few of the stories coming out of the pro ranks. 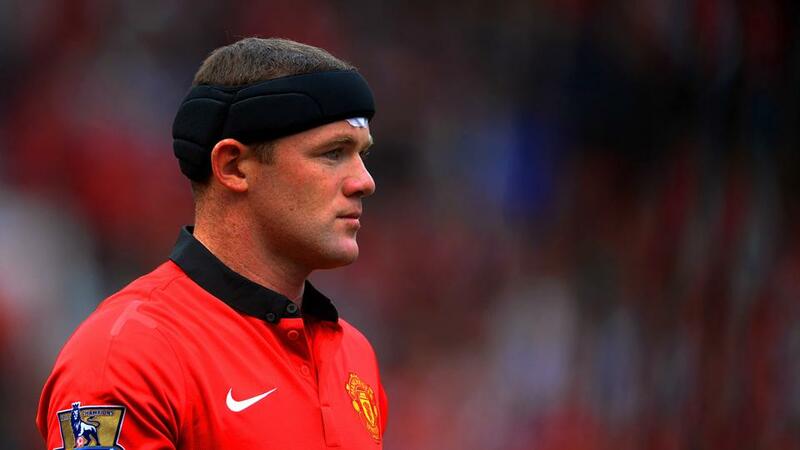 Back in September, Manchester United star Wayne Rooney donned a Storelli Exo-Shield head guard after sustaining a head injury. Storelli actively sought out Rooney after reading about his injury in the newspaper. Storelli knows the acceptance of their protective gear on the professional level is more of a final frontier than a mission statement.